Hello, readers! 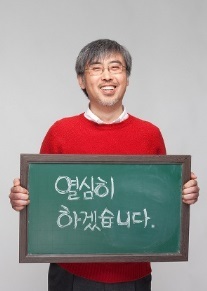 I am Tae-ho Lee, Secretary-General of PSPD. Long winter did not seem to end but it’s already April of cherry blossoms after fickle spring cold envying flower-blooming has gone. Alleys near PSPD office has become palaces of colorful flowers. There is no better place than this for a walk holding a cup of coffee. • Greeting such a beautiful season, spring session of PSPD academy has opened. Good lectures are waiting for people who decided to be a learning citizen last winter. As like a feast of spring flowers, prudent discussions and tables for consensus will roll out. Lectures opening April onward are Talk Talk Peace Study and Let’s Play Ukulele. • PSPD activists are closely monitoring the process of new government establishment. They examined National tasks of Park Geun-hye government presented by the Transition Committee and selected 66 policies; 19 good, 27 not enough and 20 worry/bad. PSPD will keep watching the progress of these tasks. Meanwhile, marks are made for some relatively good but abandoned or altered already. • PSPD opposed the appointments of unqualified and inappropriate candidates for Park Geun-hye government. Those who evaded, omitted taxes and speculated including a minister for science, ICT and future planning, a vice minister for justice, a minister for defence and a president for fair trade commission had eventually stepped down. However, a vice minister for economy who was questioned for morality and capability, and a minister for justice who worked as a lawyer receiving the privilege as a former prosecutor were finally appointed despite of strong objections. • Actions asking misgovernment of the former president Lee Myung-bak administration and who is responsible for personal absurdities and corruptions are going into a full scale. PSPD demanded National Assembly investigation on 21 February concerning eight violations and misgovernment cases, and accused Lee Myung-bak on 5 March for breach of trust and misfeasance in the course of purchasing land for a resident in Naegok-dong. PSPD wanted to make clear that privileges for presidents can not shield him any longer. On 21 March, PSPD indicted Won Se-hoon, the former president of National Intelligence Service who illegally intervene in elections and domestic politics to the prosecutors’ office for violating the National Intelligence Service Act and the Election Law. • Together with health and medical organizations, PSPD is pressing pressure on Gyeongnam province governor to withdraw the decision to close provincial Jinju hospital on the ground of deficit. When the President Park Geun-hye was a candidate, she promised to build more public hospitals, and vitalize local clinics and main public hospitals in the regions. • 70 days of verification period for Jeju naval base construction has expired but it is believed that actual verification was not conducted properly in order to justify the construction. Hence, civil societies presented joint statement denouncing verification process. • On the 10th year of US’s attack to Iraq, PSPD demanded an apology to US government for leading Iraq invasion and Korean government for joining in. Meanwhile, PSPD pointed out that the dispatch date to Iraq is incorrectly inscribed on slabs of Gwanghwamun square from 2003 to 2004. Correction was requested to Seoul city government and it answered to correct it instantly. It is important to remember history correctly. 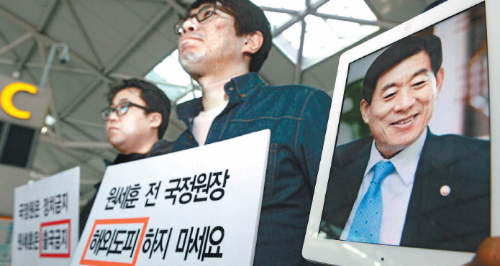 Civil Surveillance Team 2 of PSPD went to the Incheon International Airport on 24 March to stop Won Se-hoon, a former president of National Intelligence Service (NIS) leaving to overseas. Prior to this, Won Se-hoon was accused on 21 March by PSPD, lawyers for democratic society and Democratic Legal Studies Association for violating Article 9 of NIS Act (prohibition of political involvement), Provision 1, Article 11 of NIS Act (prohibition of abusing authority), Article 85 of Public Official Election Act and so on. When he was in position, he ordered NIS employees to establish and drive public opinions favorable to a leading party by denouncing civil organizations which criticized the government. The office of national assembly member Jin Seon-mi disclosed documents [Instructions and emphasis of the NIS president]. One instruction stated that “There are many left organizations which oppose to national issues for the purpose of opposition and it is necessary to deal with them upfront. NIS should lead to promote and support the president and government policies (22 January 2010).” Another document said “Psychological warfare against North Korea division reported [Reinforcement plan of psychological warfare for making the young to right friendly] and its contents are what NIS has to do (19 July 2010). Reflecting these instructions, a case of ‘writing comments online of NIS employee’ which is under investigation is unlikely to be an individual activity but NIS’s intervention in election at the organizational level ordered by its president. The intervention is out of its duties and a serious violation. Park Geun-yong, head of cooperation division of PSPD has submitted a bill of indictment and expressed a bitter feeling that concerns were raised on revival of NIS’s intervention in elections when one of the former president Lee Myung-bak’s man Won se-hoon became the NIS president. Unfortunately concerns are confirmed to be the truth. On 15 January, Yim Young-min (pseudonym) a 31 year old convenient store owner at Geoje Island took his life. He had been an irregular employee for conglomerates, contracted worker for conglomerates’ partners and lived on part time or casual work. Then he borrowed money on house and opened a convenient store. However, profits did not meet his expectation and unstable living prolonged. In the mobile phone of this dead young self-employee, several dunning messages from private loaner were left. Most of convenient store owners are suffering from what Yim went through. Convenient store franchisers provide exaggerated daily sales figures when recruit franchisees. In many cases, franchisees go in red because actual sales are far less and 35% of sales have to be paid to franchisers. Especially when opening during the night, the more business hours results in widening deficit due to small sales compared to wages for part-timers and electricity bill. Despite of the circumstance, franchisers force franchisees to open 24 hours 365 days. When disobey, they demand suspension of contract and claim compensation for damages. Besides, there are many other unfair conditions but franchisees can not afford excessive suspension penalty that there is no other choice than keep running the business. - Are we post-war or pre-war generation? Consequently, tension on Korean peninsula has increased when a yearly military drill of Korea and US (1 March – 30 April) Key Resolve and Eagle Drill were conducted. North Korea argued that the drill breached armistice agreement because it was practices of nuclear preemptive attack. For that reason, they would also scrap armistice agreement and confront with their way of precision nuclear attack. The threat to set fire not only on Seoul but also Washington followed. 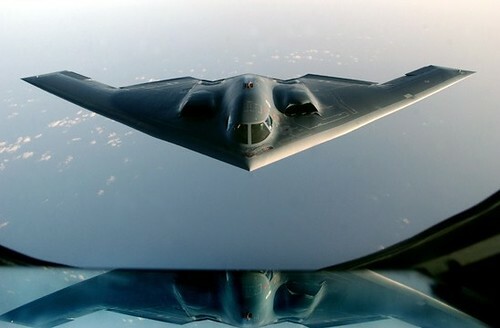 US unconventionally protested by flying B-52 stratofortress nuclear bomber (19 March) and B-2 stealth bomber (28 march) in the air of Korean peninsula. Currently, North Korea has strategic missile squadron ready and all armies to posture to fire. Communication between North and South is disconnected. Changing the subject, recall before and after Iraq attack in 2003. Bush administration of US announced a policy after 911 that US has the right for nuclear preemptive attack against indecent countries like Iraq, North Korea, Iran regardless of their possession of nuclear. After announcement, Bush administration actually attacked Iraq even though UN surveillance reported Iraq as non-nuclear state. 10 years ago, South Korea has dispatched the third largest military forces to Iraq. Still a little hope is remained believing Obama administration has learned from the past failure. Unfortunately, North Korea also learned something for the past 10 years so that it would be more costly to persuade North Korea. The question is whether South Korea and US are ready to pay for the cost and put efforts. Peace forum of Coalition of Civil Society Organizations Solidarity where PSPD is a member urge to resolve Korean peninsula crisis in a peaceful manner with dialogues. It is also preparing ‘Korean Peninsula Peace Civil Forum’ in which citizens from all levels of society participate in order to make 60th year of armistice into a ground year of peace settlement.